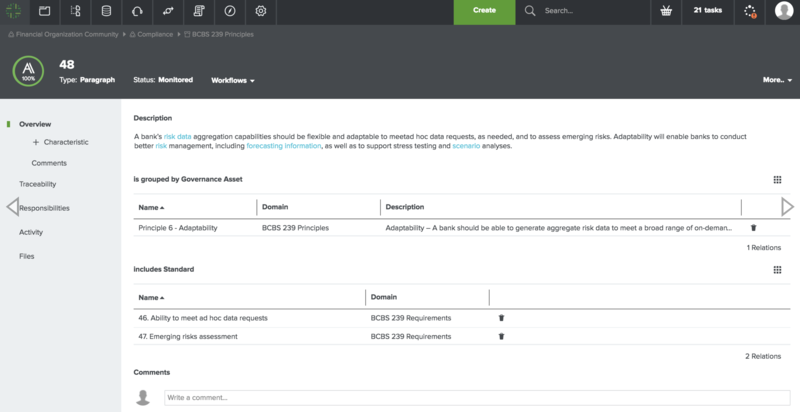 Released in early 2013, the BCBS 239 principles provide a solid foundation for a data governance program and are increasingly being adopted as the foundation for other regulations such as CCAR and COREP. The logic of extending the use of the BCBS 239 principles is sound as the principles describe a sustainable data management capability for financial services institutions and may very well be adopted in a wider context. 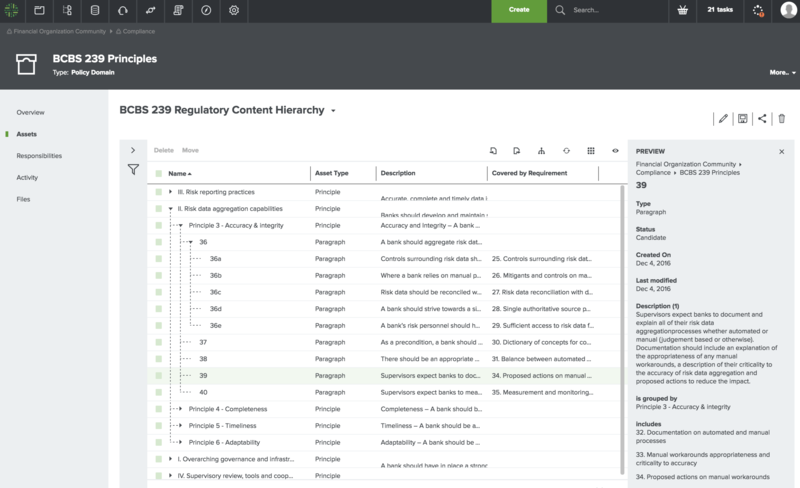 This accelerator allows you to easily import the regulatory text and the requirements associated with the regulation into Collibra Policy Manager. Here are some of the immediate benefits of making the BCBS 239 principles available to your data citizens. 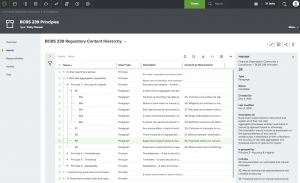 Making the actual regulatory text available to the data citizens for raising awareness. Breaking down the regulatory text into concrete requirements that may be implemented. 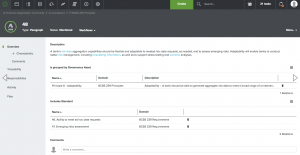 Linking the BCBS 239 requirements to internal data management capabilities. Performing self-assessment surveys based on the regulatory requirements.